The more colorful foods you add into your daily routine (think fruits, veggies, beans and grains) the better metabolism you’ll have. Colorful foods are also full of fiber! (You should aim to get at least 30 grams of fiber in a day.) Fiber helps detoxify the digestive system, so try adding fibrous ingredients like lentils, blackberries and chia seeds to your routine. Chia seed pudding is a great way to kick start your metabolism with a fiber-full first meal of the day. 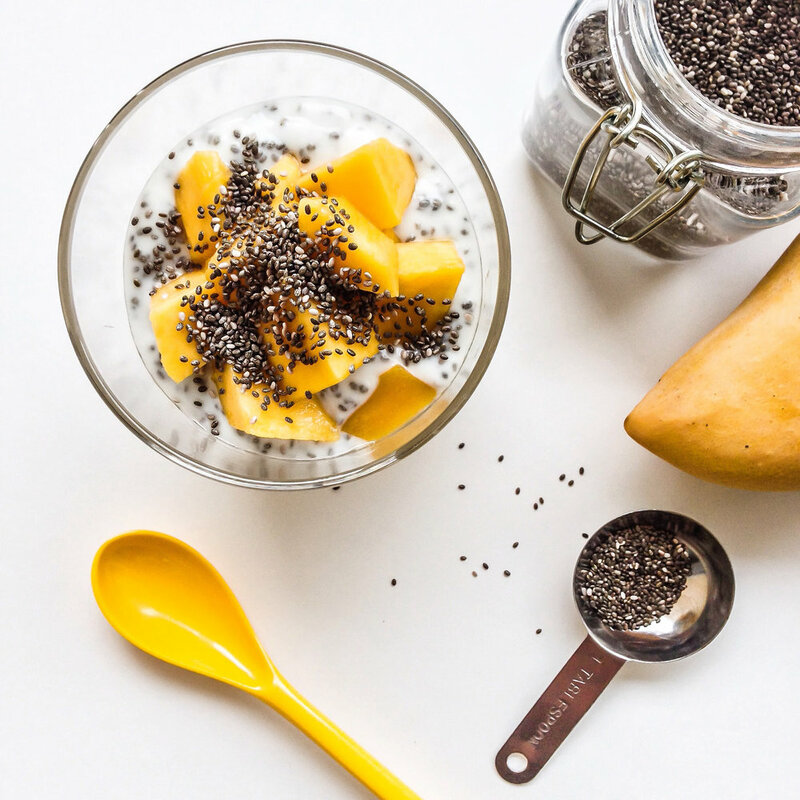 Chia seed pudding isn’t just nutrient dense, it’s also filling and provides sustainable energy that’ll last you ‘til lunch. Plus, (can you tell we love chia seeds?) chia seeds are a major source of plant-based omega 3 fatty acids, which help with proper brain function and heart health. Already a super healthy eater but still struggle with energy crashes or sugar cravings? There might be a supplement that can help. 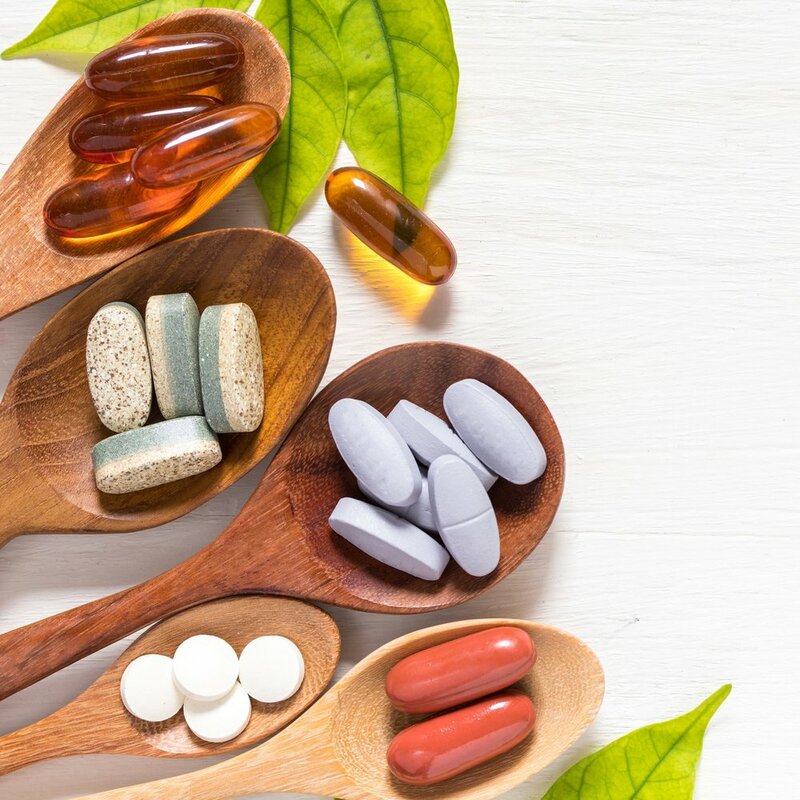 If you’ve never taken supplements before, don’t worry, our Nutrition Department specialists can personally walk you through the aisles to help you find products that might fit your needs. We often recommend protein powders as a starting point. Powders like Whole Earth & Sea 100% Fermented Organic Greens and Protein, BioChem Sugar-Free Whey and Sun Warrior plant proteins contain 20+ g of vegan protein per serving, so if you feel like you aren’t getting enough, you can add it to the milk of your choice for a fast and protein-packed smoothie! Other supplements we dig? Natural Factors CLA (supports fat loss), PGX (curbs food cravings) and 5-HTP (helps with serotonin production). Becoming healthier doesn’t just take eating right, it also takes — you guessed it — exercise! If you don't you have a regular exercise routine, commit to just 5 minutes a day as a start. (Walk around your house while you read this blog post!) Guaranteed that once you get moving, you’ll feel the immediate benefits and want to keep it up. Consistency is key, so find an activity and stick to it. If you’re worried about your follow through, you should get an accountability partner (aka a friend who also wants to get fit or be healthier) to work out with you. You’ll be less likely to skip a workout, plus you get to hang out with your friends! If you already work out regularly and want to pump up the intensity, you can sign up for a local workout class like Camp Gladiator! The full-hour workout camp is held at our Mandarin location at 5 to 6 AM and 6:15 to 7:15 every Monday, Wednesday and Friday. The camps are lead by handpicked trainers, so you can get advice on how to better your health every time you go. Working out is hard on the body, so make sure that after you get it done, you set aside time to rest and recover! This may sound counterintuitive, but try not to think about weight loss as the primary goal. If you shift your goal from fitting into a certain size to reducing your blood pressure, reducing inflammation or staying hydrated all day, all of those things will contribute to natural weight loss and your overall health goals.